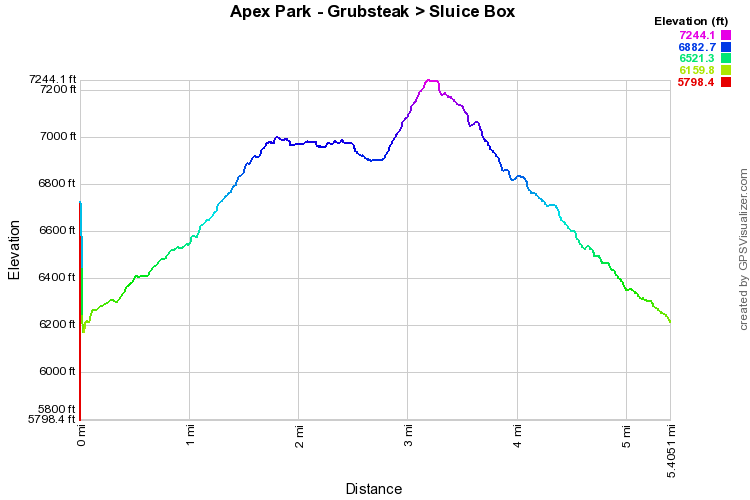 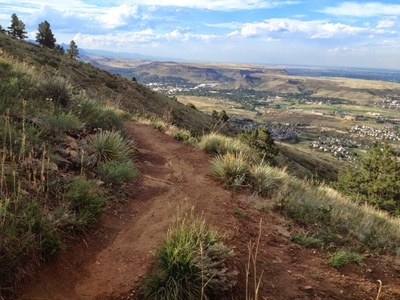 The Grubstake > Pick-N-Sledge loop is accessed via the Argos Trail or the Apex Trail. 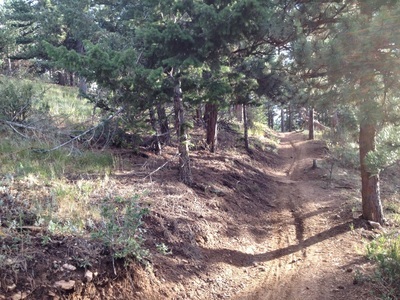 This is the main loop in the park and is a great workout. 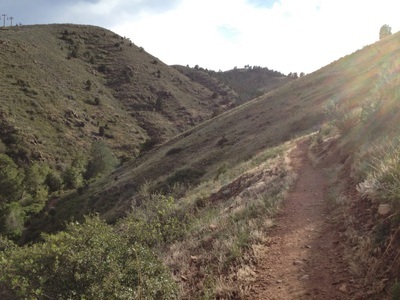 From the parking lot, take the Argos trail as it switchbacks up the eastern face of Indian Mountain. 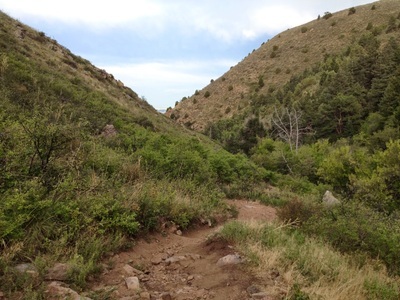 After .7 miles you'll reach the junction for Pick-N-Sledge Trail, head right for this hike or head left for a shorter loop. 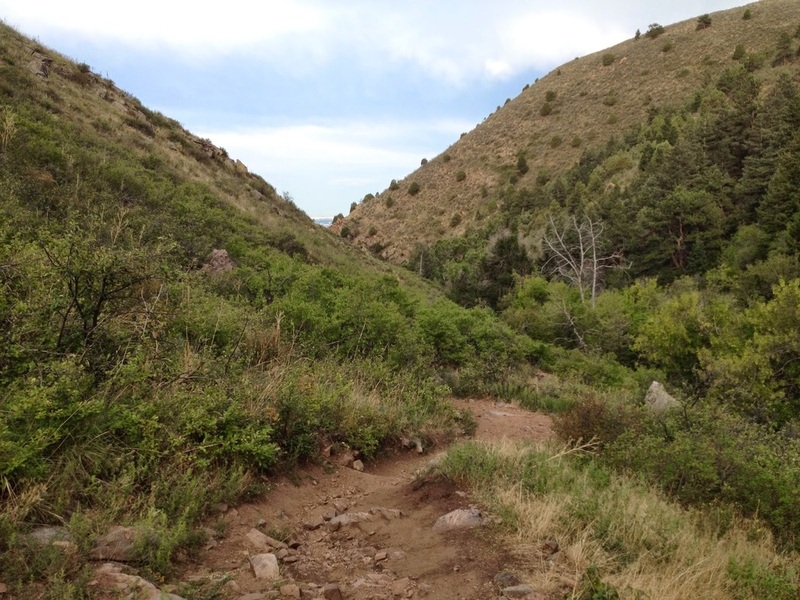 The Pick-N-Sledge trail continues switchbacking up the mountain to the trail junction for the Grubstake Trail. 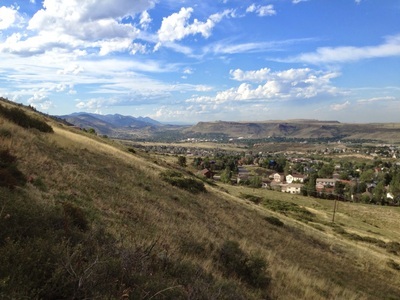 The views along the Pick-N-Sledge back east towards Denver and Golden are wonderful and some of the best views the park has to offer. 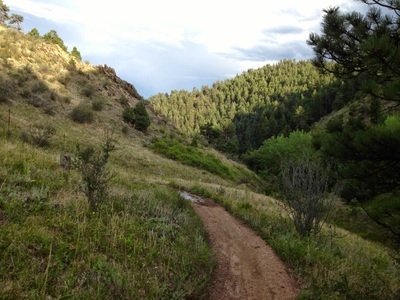 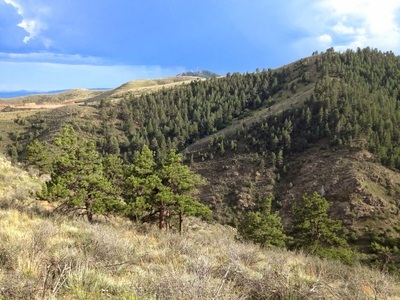 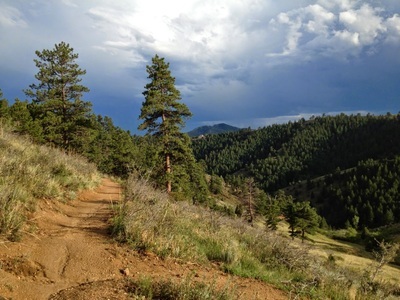 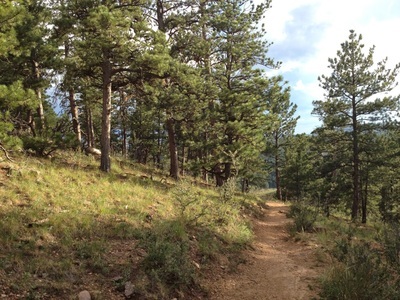 The Grubstake trail heads north along the side of the mountain weaving in and out of Pine Forest. After a little ways, you enter a deep dark forest, turn west, then south and switchback up towards the summit of Indian Mountain. You don't actually gain the summit before meeting up with the Pick-N-Sledge Trail and Sluicebox trail. For this hike, I took the Sluicebox Trail down to the Apex Trail to return to the Trailhead, but apparently the Apex trail is still mostly closed due to the 2013 floods, so the Pick-N-Sledge is your only option for returning to the trailhead. 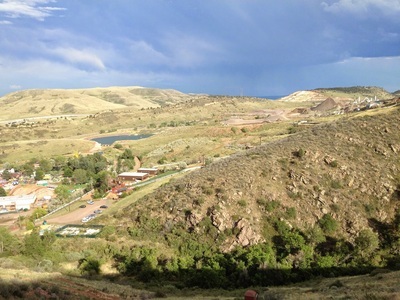 Check the park map before heading out. If open, the Apex Trail is a straight shot down the canyon back to the parking lot. 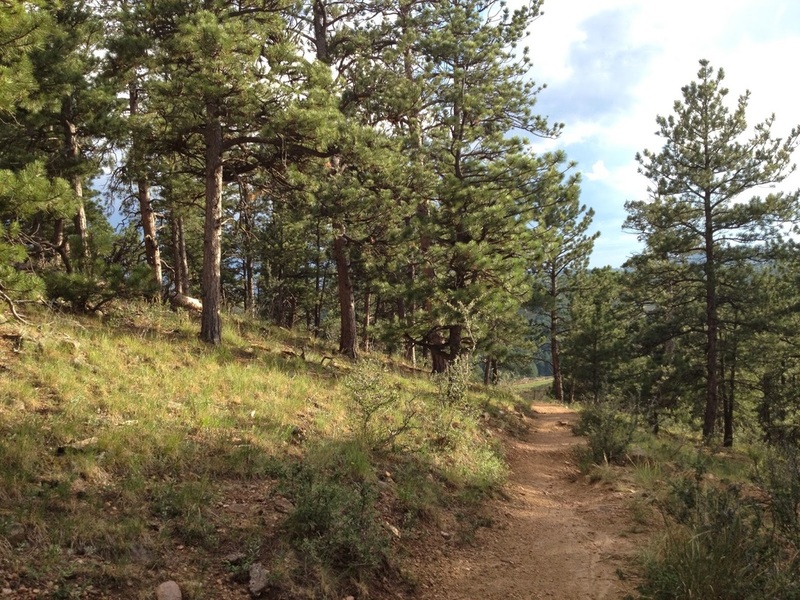 The Pick-N-Sledge is a bit more scenic but will take longer. 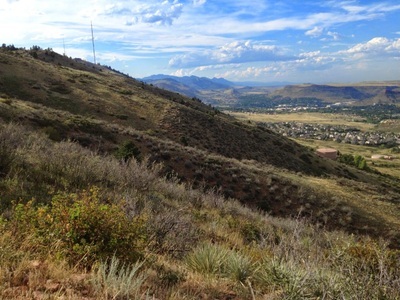 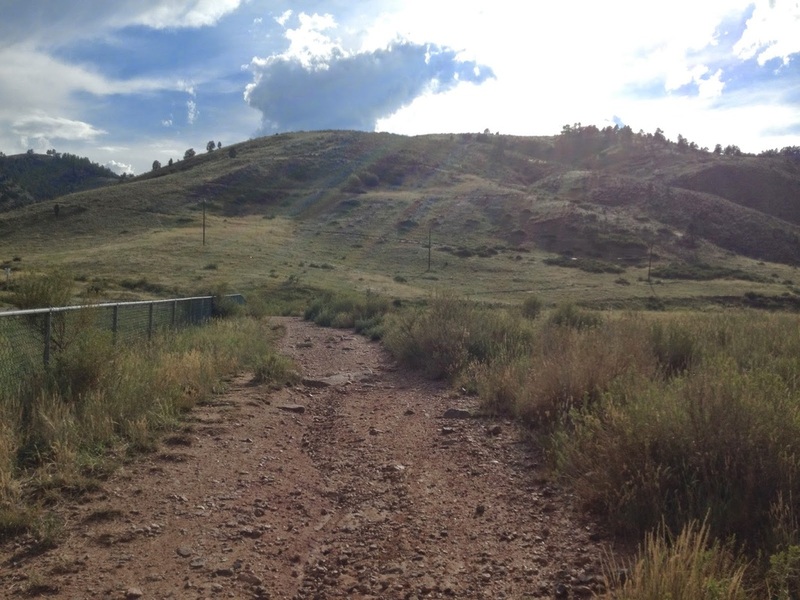 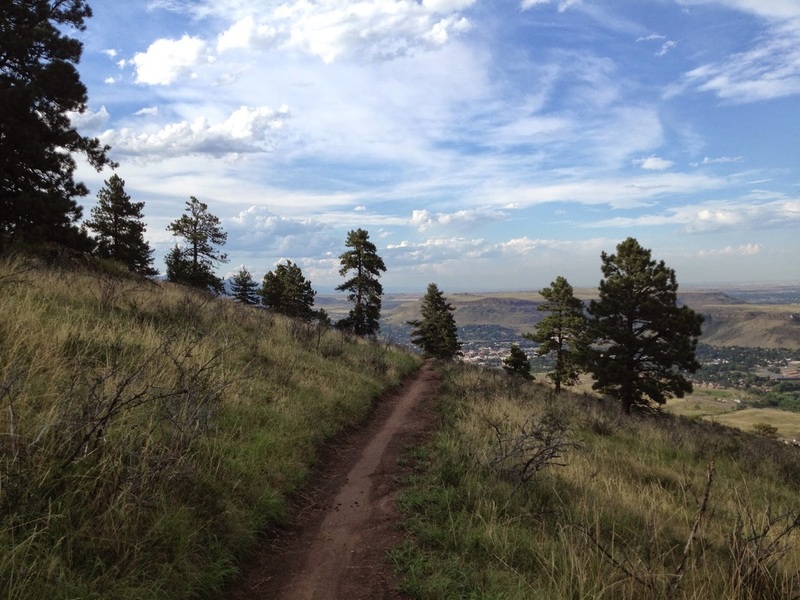 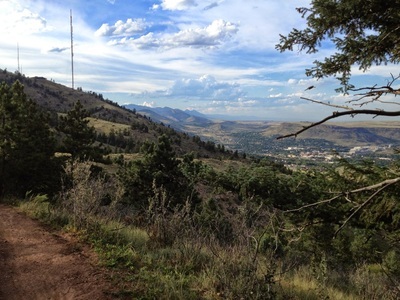 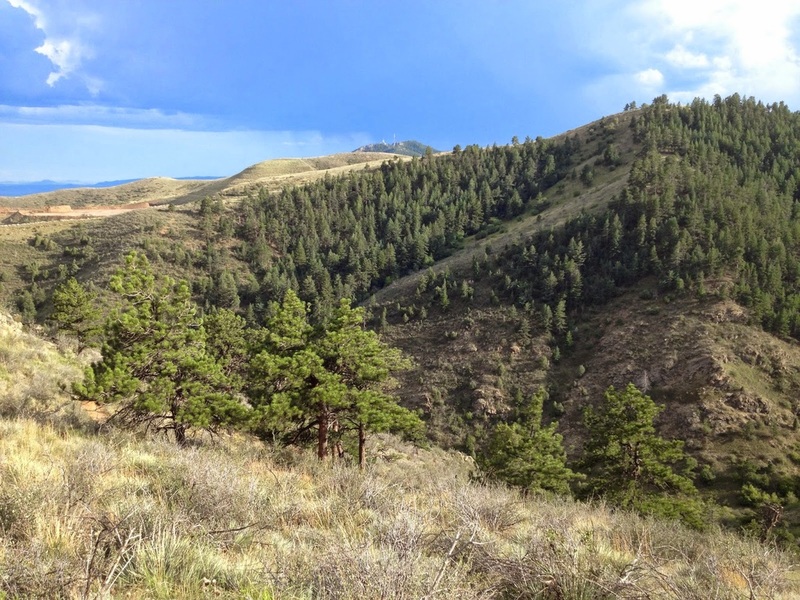 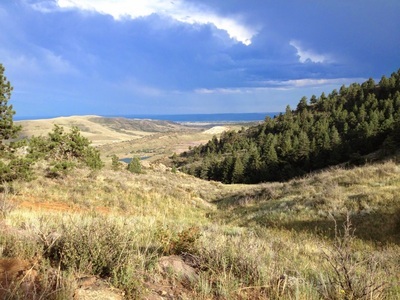 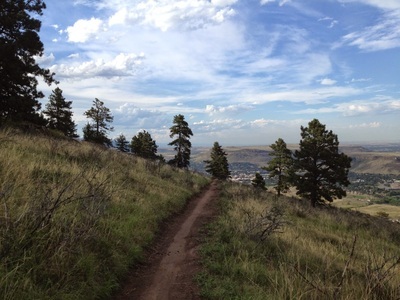 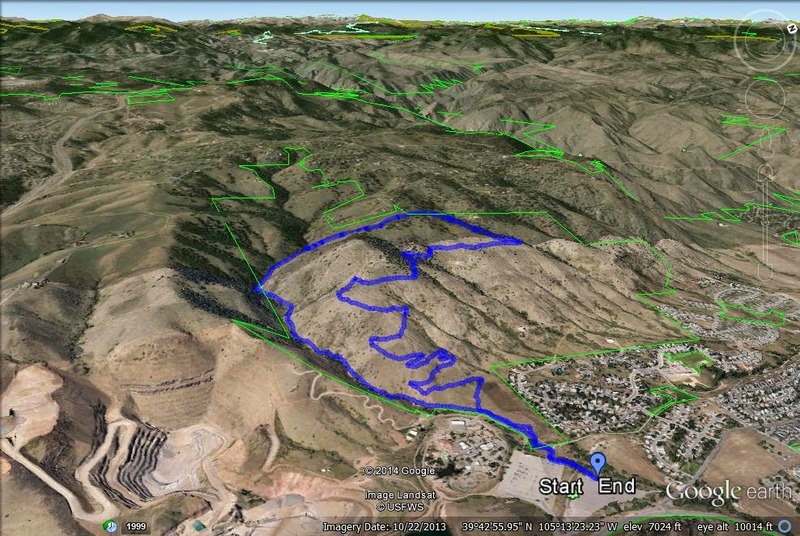 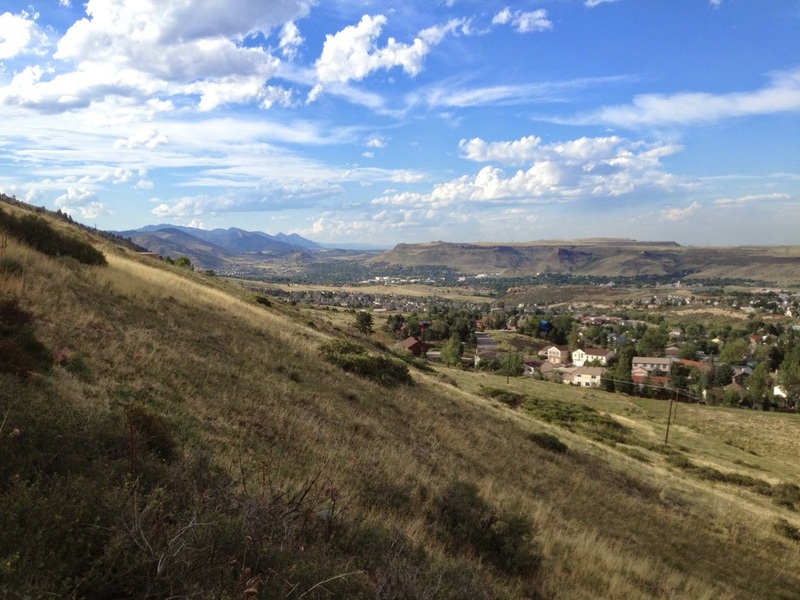 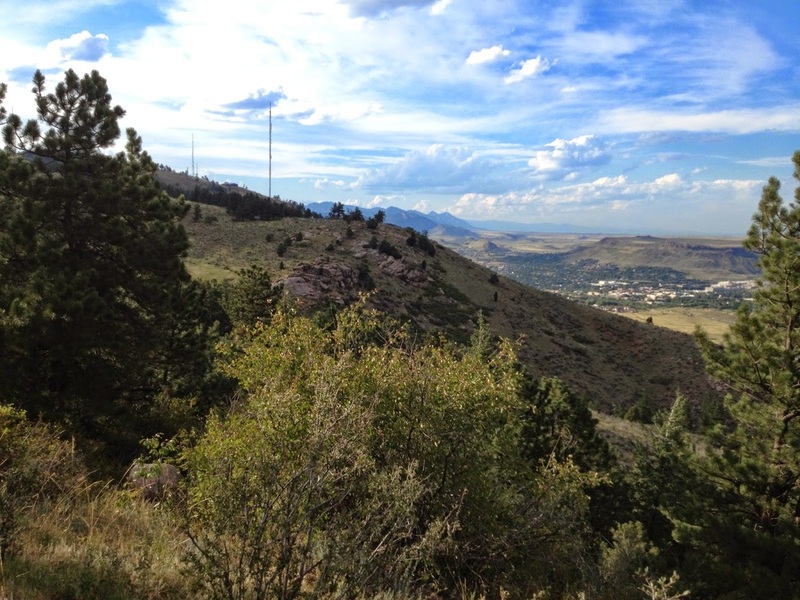 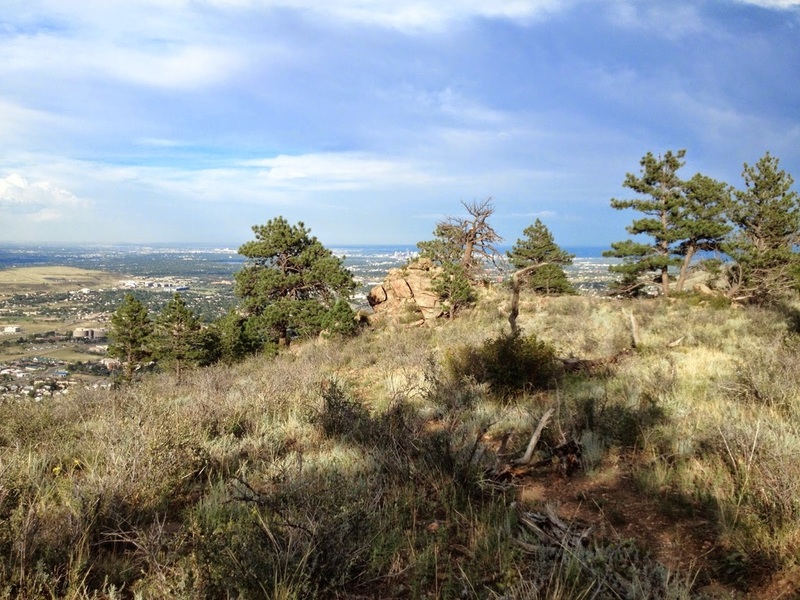 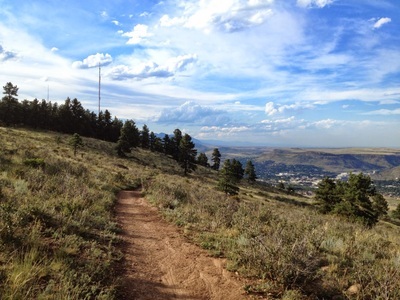 Either way, you'll be feeling this hike the next day, a great training resource and extremely close to Denver/Golden.